I currently rent a serviced apartment in District 2. About a month ago, I came back from work one evening to find pots and pans floating around in my kitchen. The service pipe had burst and the first thing I did was call my landlord to get it fixed. He sent someone to clean up the mess but they left the pipe untouched. After a few days with no access to water and no reply from the landlord, I finally decided to have it repaired by someone else. Now the landlord refuses to pay me back for the cost of the repair and, on top of that, he told me he will deduct the cleaning cost from my lease deposit. What are my rights under Vietnamese law? I can assure you that you’re not the only one fighting with your landlord over rights and obligations under a lease agreement. If you want to know about your rights as a lessee then have a look at the Civil Code of Vietnam. One of the fundamental principles of the code, which is scheduled to be replaced in 2017, is the freedom of contract – this means that you and your landlord are free, at least to a large extent, to agree on whatever terms and conditions you like. Ideally, I would like to have a look at your lease first before giving you any definitive advice. Having said that, I can tell you some of the basics your landlord must provide: 1) he will deliver your serviced apartment to you strictly in accordance with the lease agreement, and 2) he will ensure you an un-interfered use of the apartment during the term of your lease. And relevant to your flooding situation, he must make reparations to your apartment when there is any damage. You have the right to request the landlord to do so, you may do it yourself, or you may assign the job to another person and demand the landlord to repay the expenses and to compensate you for any damages suffered. This means as long as you can show that the damage to your apartment was not caused by you, and that the landlord didn’t make the required reparations even after several reminders from your side, you are fully entitled to ask someone else to repair the service pipe and to reclaim the expenses. 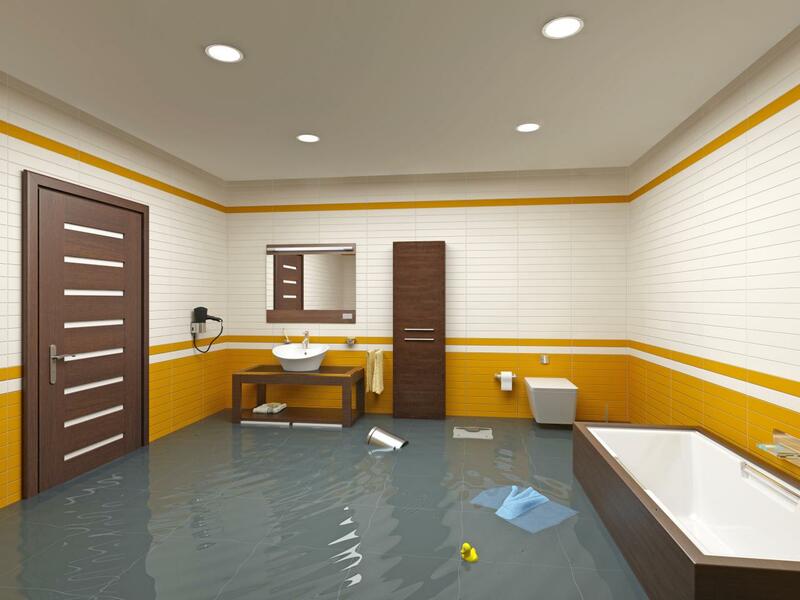 Furthermore, in certain cases where the landlord fails to repair damages in the apartment this can be a valid ground for you to unilaterally terminate your lease and claim for damages. Now let’s turn to the deposit that you paid upon entering into the lease agreement. As mentioned before, it is the landlord’s obligation to repair the apartment and – unless the damage is caused by you – the landlord cannot charge you for the costs involved: neither directly, nor indirectly, via the deposit. In accordance with Vietnamese law, if you’ve performed all your obligations under the lease agreement (paid your rent every month, returned all the inventory the landlord provided you, etc) then the landlord should either repay you the deposit or set it off against the rent. As we have seen that the obligation to repair the service pipe was not on your side, so there is no valid ground whatsoever for your landlord to deduct any cleaning and/or reparations costs from your deposit. Perhaps it doesn’t come as a surprise that in Vietnam knowing your rights is one thing and having your rights enforced in practice is something else. So how to get your money back? Of course, filing a lawsuit is – technically speaking – a possibility. But when you consider the time and costs involved, as well as the lack of transparency in the legal system, starting court proceedings is not what I would recommend. Instead, your best option is to sit down with your landlord, enjoy some tra sen and discuss the situation. Keep your rights in mind, consider which concessions (if any) you are willing to make and try to find an amicable solution. The next time you sign a lease, make sure that the rights and obligations of both parties are clearly written down. Furthermore, prepare and sign an inventory list when moving in, and write down the state of the apartment and the inventory as you find it that first day. By doing so, you take away one potential reason for your landlord to keep some of your deposit when it’s time to check out. Best of luck! Every month, Marijn Sprokkereef answers legal questions from Oi readers. If you have any legal questions you want answered, send them to legal@oivietnam.com. BIO: Marijn Sprokkereefis an associate of Audier & Partners, an international law firm with offices in Vietnam (Ho Chi Minh City and Hanoi), Myanmar and Mongolia. Audier & Partners provides advice to foreign investors on a broad range of legal issues.